Slowly as I meet more people in the Cape Town car scene I make more friends and connections. You learn about new things, share experiences and even better you find the classic gems that get stored ever so preciously in the safety of a garage. For Rowen an ex-durbanite who now lives in Cape Town this is only half true. 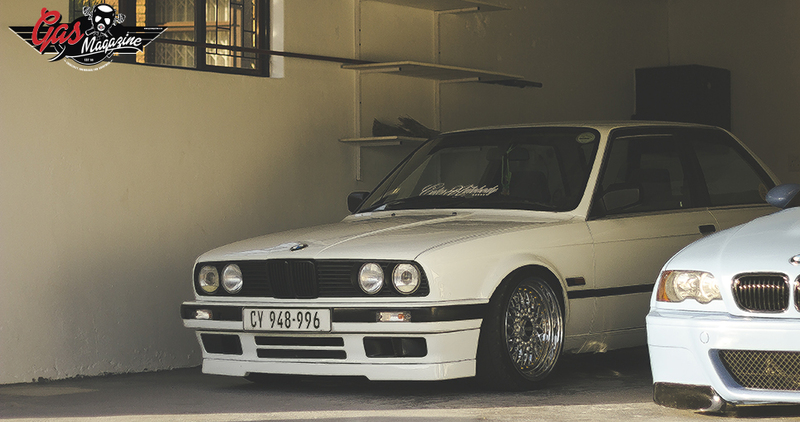 Bella, his E30 makes regular appearances at shows, hook ups and Sunday cruises to sea point. Even though she is a super neat and well-kept classic she is taken out and let free regularly. Not only does Rowen enjoy it but the people who get to see it have the pleasure too. After moving to Cape Town, Rowen and his dad started up a shop called Cole’s Autobody in 2012. The shop turns out some seriously wicked paint jobs and keeps the standard of quality at an all time high. Rowen has always loved working with cars and being around them hence why they started Coles. He feels that cars make life a bit more pleasurable. The E30 belonged to a very good friend of his and when he brought up the topic of selling Rowen jumped at the opportunity. It still sports the original motor and original interior.